We’ve had brake issues in the Series 3 Landy. So, new drums, shoes, slave & master cylinders were fitted. A binding problem was then causing trouble in reverse, so last night at a weekly engineering evening with good friends, the drums were removed & the problem investigated. Turns out some shoe adhesive was on the shoe face, causing a very slight ‘grab’ of the trailing shoe, which then pulled on tight like a ratchet as more rear moment was put on it. A hand file to increase chamfers & a clean up has reduced the problem now. Whilst there I also brought a new waterproof coat in a shop sale in the spur of the moment. I needed one, and the sale one was greatly reduced. Chris waited with Alex outside the shop on a bench. When I went to join her I saw an elderly gent sat next to her, and they were having a happy discussion about something. It appears they had sat next to him, and Alex was looking in a closed down shop window and Chris commented that it just had shelves in, and joking said no-one would just buy shelves. The old chap chipped in and said that he knew of a place that just sold screws and fittings… in metric and imperial sizes. Chris replied that a shop like that would have been useful this week, as we needed some old imperial sized nuts and bolts. The man then asked, after assuming it was for a car, what the car was. Chris replied it was for an old Land Rover… and then they got chatting about Land Rovers… and it was at this point that I turned up. I then chatted with him about our old Land Rover and recent issues, as he was very well informed about the mechanics involved. 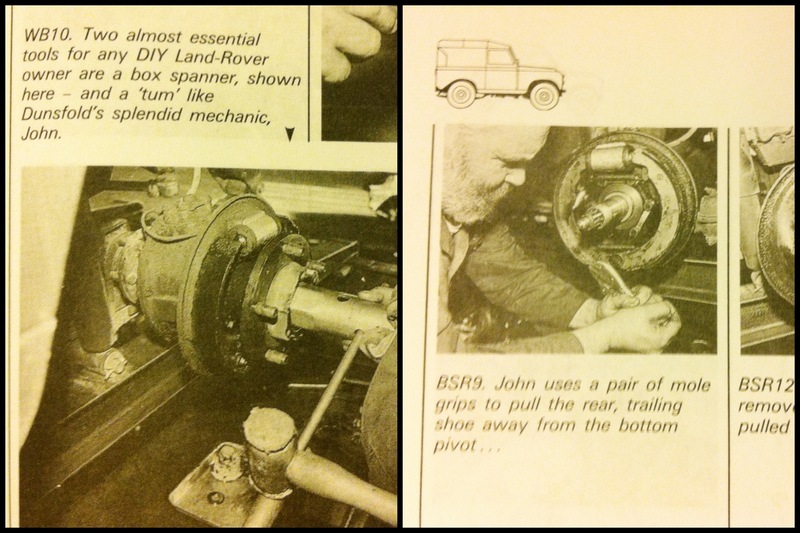 It turns out that the chap, called John, was Dunsfold Land Rover Collection’s mechanic up until he retired. 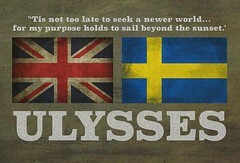 This in itself was a fantastic coincidence! I took the opportunity to discus the brakes and he said the rectification actions we were implementing sounded just right. Then he goes and asks if I have the Haynes Series I,II,III Restoration manual. A really nice chap, and such a coincidence to meet him in a place we’ve never been before, due to a chance visit to a shop sale, a conversation about shelves, nuts and bolts that lead to Land Rovers and then finding out that all the work we’ve done this week links up with the work he used to do… and his belly is famous for! 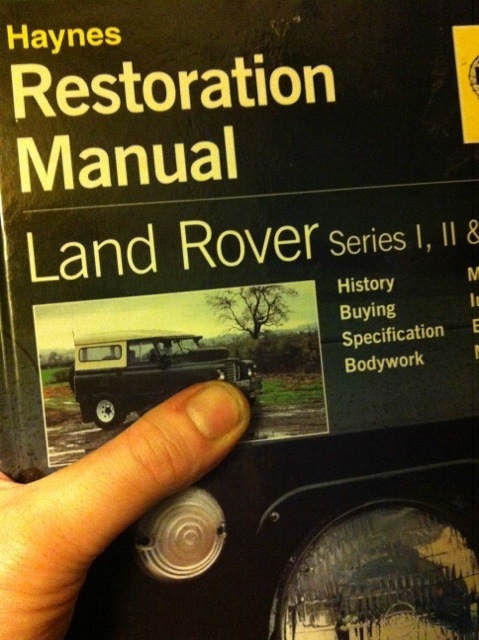 This entry was posted on Saturday, January 5th, 2013 at 10:02 pm	and tagged with brakes, collection, Dunsfold, John, land rover, landrover, mechanic and posted in FrankBlog, Land Rover. You can follow any responses to this entry through the RSS 2.0 feed. wow, nice post 🙂 Almost like meeting Land Rover Royalty meeting a mechanic from Dunsfold! Should’ve got him to sign his belly photo!